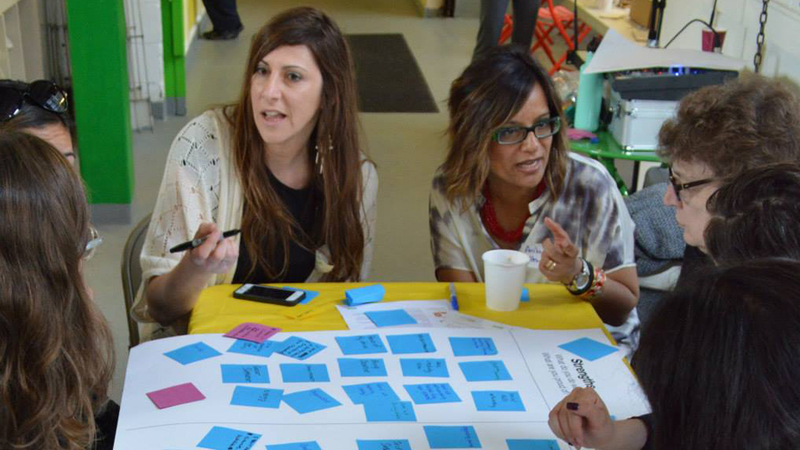 Building a public workshop series to help the City connect with women entrepreneurs. WE NYC is a first-of-its-kind program in a major American city to empower women entrepreneurs in a wide array of sectors. 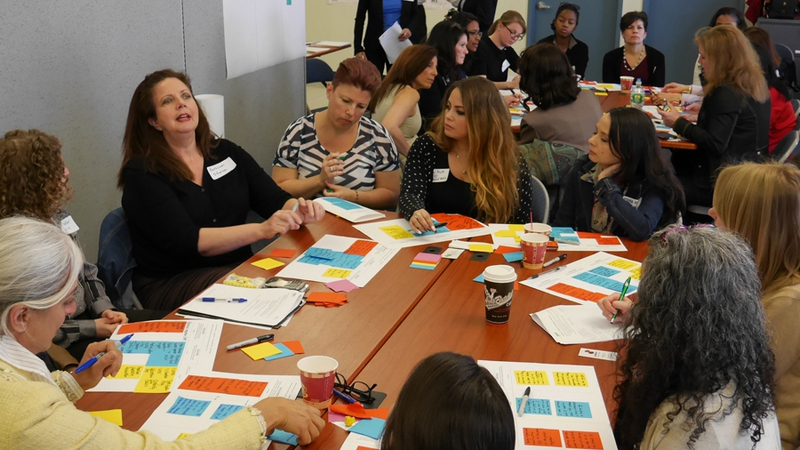 The program, initiated in March 2015 by Mayor DeBlasio and NYC’s Department of Small Business Services, aims to address challenges women business owners face by providing a suite of programs and expertise. Before launching programming, WE NYC wanted to connect with its constituents to determine their greatest needs. To enhance the initiative, TYTHEdesign coached the small SBS team on how to effectively implement human-centered research and promote civic engagement among their target demographic. Working with the WE NYC staff, TYTHE coached the team in identifying goals for community outreach and to build the agenda for a public workshop series, addressing everything from activities, prompts, and materials. 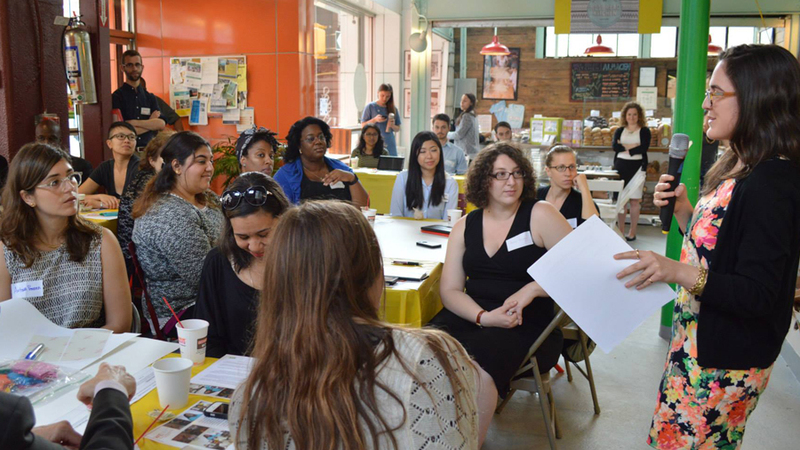 The overall outreach plan sought out feedback from the 359,000 female entrepreneurs in NYC through online surveys, interviews, and most notably, a series of community forums held in each borough. 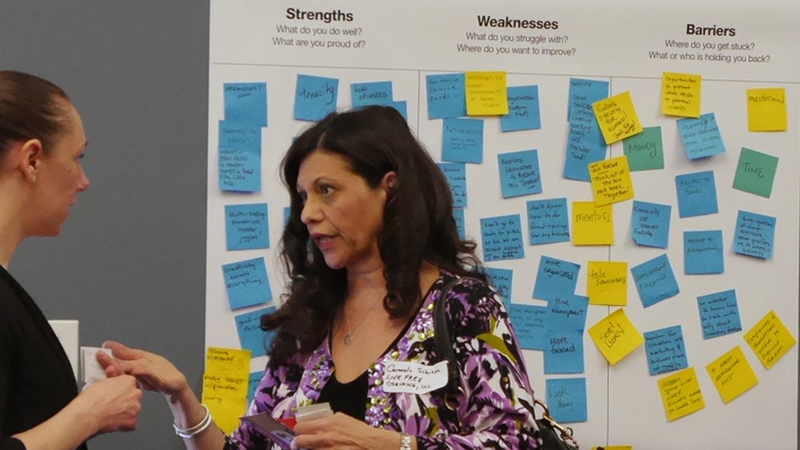 TYTHE supplemented this high-level coaching with facilitation training to drive the five workshops across New York City. Our team aided facilitation during the first workshop and made appropriate adaptations to the agenda to ensure each sessions had maximum impact. 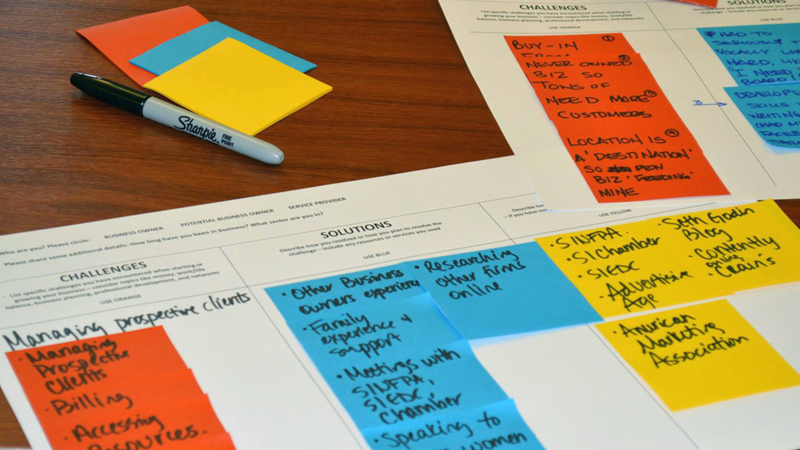 With our guidance, the WE NYC team gathered a wealth of qualitative and quantitative data from over 150 women entrepreneurs in 2-hour-long workshops. This information is now being used to clarify their programmatic priorities and develop a strong suite of offerings. TYTHEdesign has continued to support in determining the best means for data analysis following the workshop series.